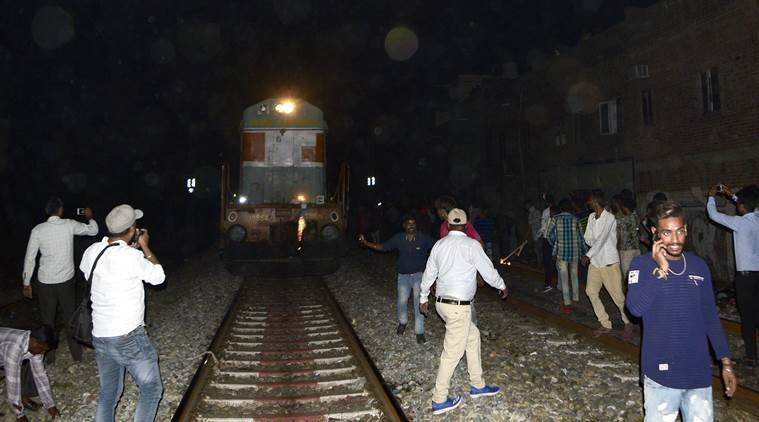 Two speeding trains killed over 50 people and left several injured in Amritsar Friday, as they were standing on the railway tracks watching a Ravana effigy being burnt during a Dussehra celebration. Majority of the deaths was caused by the first train, Jalandhar-Amritsar DMU. The second train, the Amritsar-Howrah Express, ran over those who had jumped on the second set of tracks to escape the first. At least 300 spectators had gathered at the Dhobi Ghat ground barely 2 kilometres from the Amritsar station. Although the gates at the Jaura Phatak crossing were closed at the time, many of them stood on the tracks to it to get a better view and were taking videos of the burning Ravan as the first of the trains ran them over. Punjab Chief Minister Amarinder Singh visited the site Saturday to take stock of the situation. The state government has announced an ex-gratia payment of Rs 5 lakh as compensation to then ext of kin of those who were killed. A day of mourning is being observed across the state today.